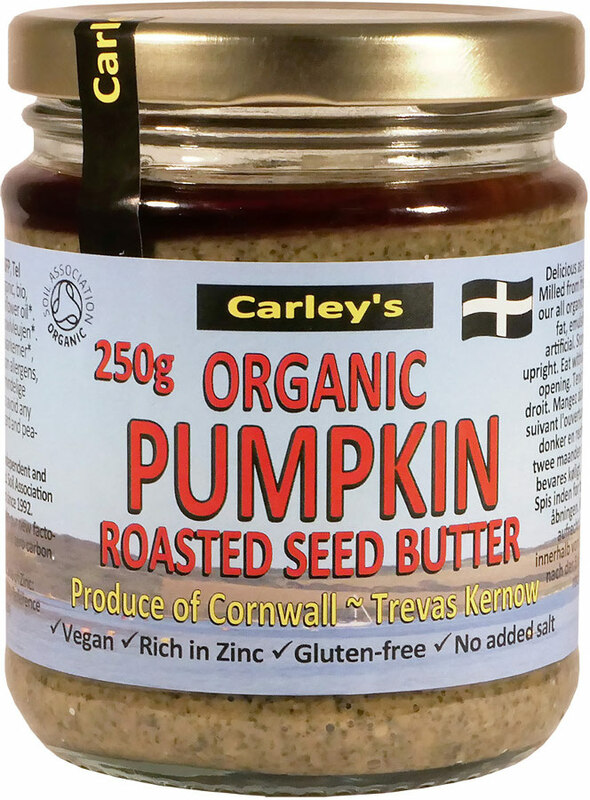 Made in the UK by family run business, Carley’s, in their new zero carbon/zero waste factory, this Soil Association Certified Pumpkin Seed Butter is produced from roasted pumpkin seed, sunflower oil and only 0.2% sea salt. It is rich in folic acid, iron, magnesium, zinc, potassium, and phosphorus, and is high in fibre and protein too. It contains no added sugar and is gluten free too, and can also be stored without refrigeration until opened. Use within 3 months once opened. May contain traces of sesame, nuts, mustard and peanuts. The Carley's Organic Roasted Pumpkin Seed Butter - 250g product ethics are indicated below. To learn more about these product ethics and to see related products, follow the links below. 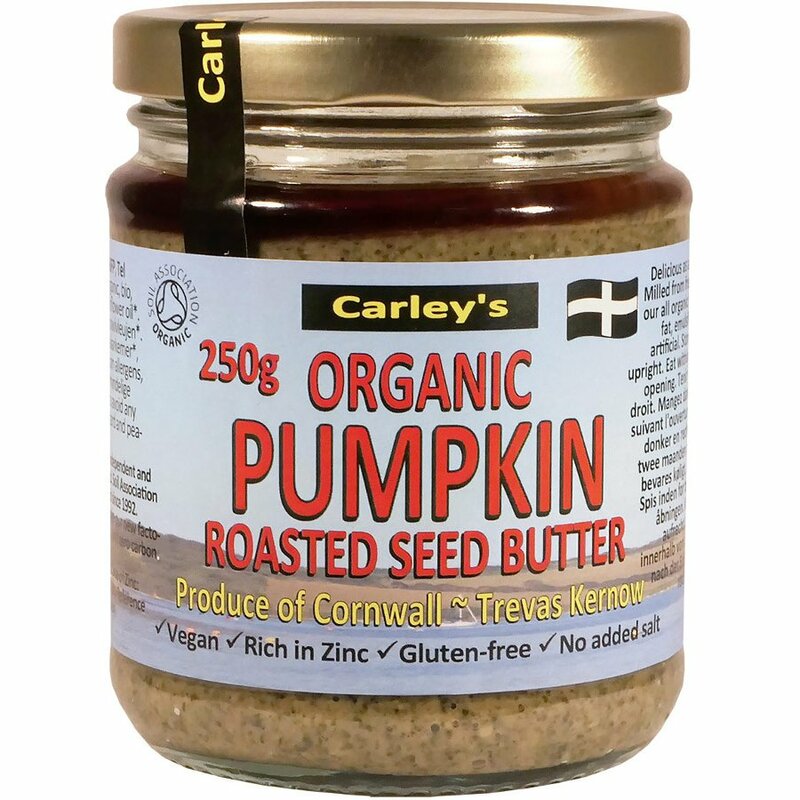 There are currently no questions to display about Carley's Organic Roasted Pumpkin Seed Butter - 250g.